Human body is constructed miraculously and has each and every organ intelligently placed and designed, all these various organs and structures work in a harmony keeps us healthy & enable us to perform many functions, Musculo-skeletal system and immune system are two of such very important systems. Our immune system protects us from all the harmful micro organisms and keeps us healthy by fighting harmful microbes, but if this immune system starts to attack our own cells – its called as auto immune and leads to various diseases commonly called as auto immune disorders. Rheumatoid arthritis is one of such auto immune disease where immune system attacks the joints leading to chronic inflammation of the joints involved. Rheumatoid Arthritis is not just a disease of the joints but is due to the underlying disorder in the immune system, and so is a systemic disease. High Psychological stress, haphazard life style, improper dietary habits can trigger this improper immune responses leading to auto immune disease such as rheumatoid arthritis. Due to the inflammation of joints, symptoms like joint pain with redness swelling and stiffness of joints are the common symptom, although fever, anaemia and debility can also be seen in rheumatoid arthritis. If proper treatment is not given or if the disease severity increases it can lead to deformities and can lead to difficulty in movement of joints and loss of mobility and function of affected joint. In severe RA it can involve lungs, heart, kidneys, eyes also. 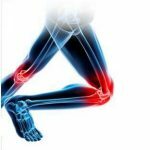 Generally RA can be diagnosed by the symptoms or history of the complaints and is usually confirmed by blood test for RF, anti – CCP, ANA and X-ray of effected joint. Early identification and adequate treatment will help to maintain good quality of life and can avoid complications. Homeocare International offer best treatment solutions for Rheumatoid Arthritis and can transform your painful life into pain-free life. At Homeocare International homeopathy treatment based on advanced constitutional homeopathic method is given to treat Rheumatoid Arthritis. As Rheumatoid Arthritis is not a simple disease and involves underlying imbalance in many other systems – constitutional Homeopathy Treatment offered by homeopathy is the best approach for this type of diseases. Treatment at Homeocare International is targeted to address the problem at root cause level and to restore the imbalance in the immune system. 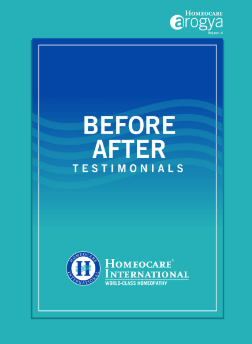 Patient feed back suggest that Homeocare treatment for Rheumatoid Arthritis helped to improve the quality of life and to effectively control pain.